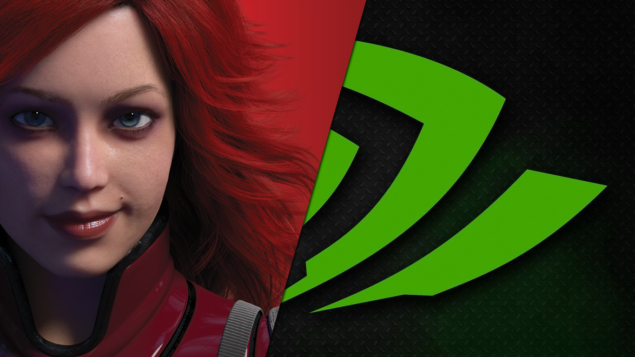 I just realized that we haven’t actually covered the DirectX12 preview over at Wccftech. So pardon me for the delayed post but here it is at last. 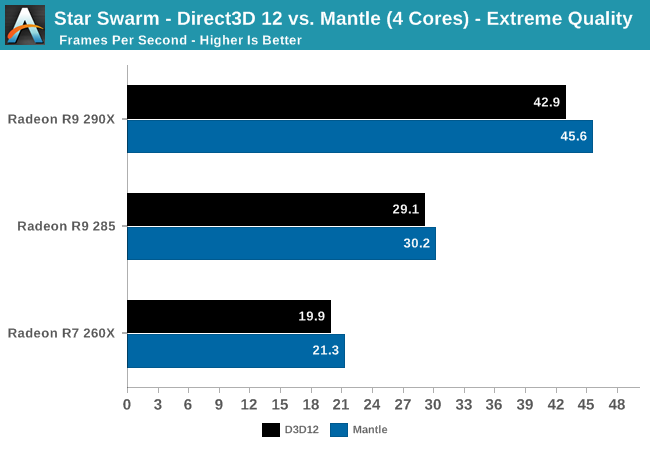 The DirectX 12 preview by Anandtech actually features a comparison of the Mantle and D3D12 APIs so this is one of the first authentic comparisons of the low level APIs facing off against each other. Both APIs show extremely promising results and I am very glad that we will have competition in the Low Level department as well. It will be extremely interesting, considering AMD is one of the key interests behind the DX12 consortium, to see how the ecosystem with such a rivalry shapes up. One of the best moves that AMD could have made is make its API utterly and fully compliant to DX12, actually giving incentive to devs to code in Mantle and then port to DX12 easily (supporting both APIs at the same time). While probability dictated that because of the bigger number of players behind DX12, it will lead at the bleeding edge these results show just how small that margin really is and even that can be argued upon. 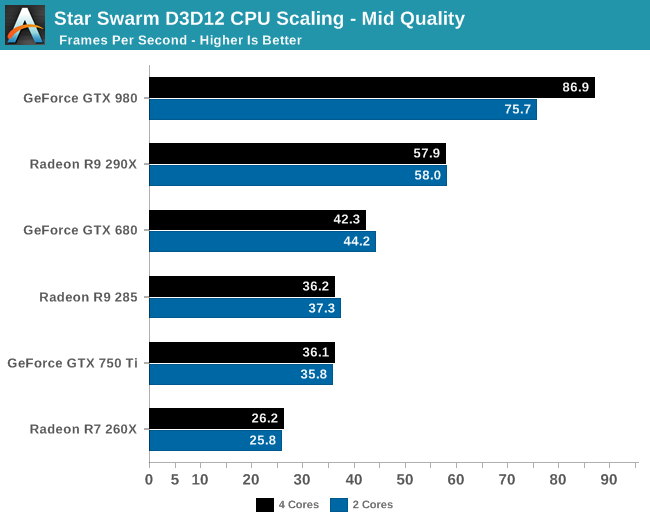 To sum up the benchmarks, the performance crown goes to D3D12 by a small margin, with the GTX 980 leading the race. 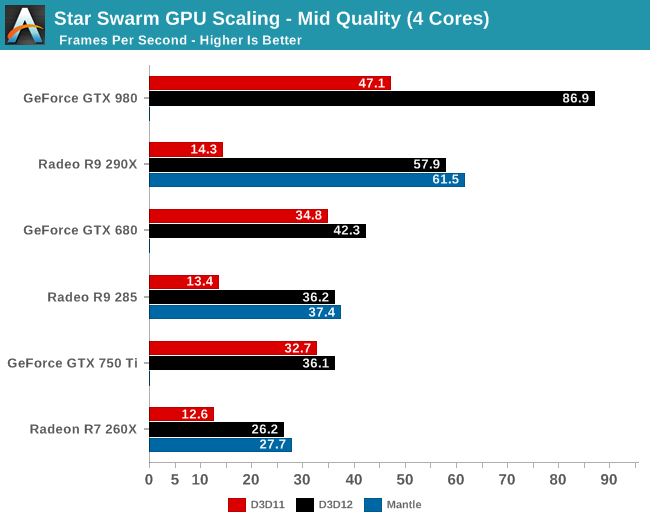 For Radeons however, Mantle API appears to clearly be the better choice over DirectX12 – very interesting development I might add, and wonder how that will shape future sales. 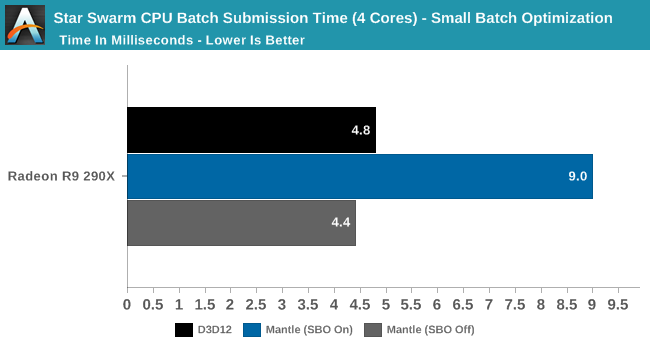 And lastly, Mantle API seems to be superior in terms of power management. So a broad spectrum of very well rounded results. Needless to say however, this is just the beginning. One of the most important things that still remain to be unveiled is Feature Level 12_0 aka hardware level directx12 support. Since this feature level has not been finalized yet, it remains to be seen how many of GPUs that support DirectX 12 API will go on to support hardware level dx12 or feature level 12_0.